There’s something very special about receiving a handmade gift that someone has taken the effort to create just for you. This is even more so at Christmas, in the midst of a flurry of finishing off gift shopping, recovering from various Christmas celebrations or trying to fit a month’s worth of work into 3 weeks before the Christmas break. I also find making gifts is very therapeutic. It’s a good thing to do if you’re getting a bit stressed by Christmas preparations. It helps you to switch off, get a bit creative and also maybe remember in amongst all the retail craziness what Christmas is really about. If you have kids, it’s also a good thing to do together. I still have many happy Easter memories of all of us in the kitchen creating Easter eggs for each other, filling them with special little surprises. 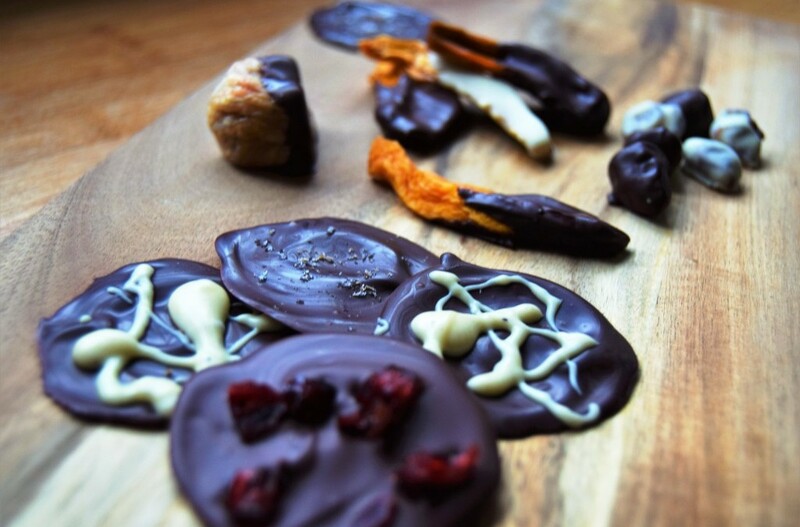 I’ve therefore put together 5 of my favourite edible Christmas gift ideas. These are simple to make so won’t take a lot of time to create, but will put a big smile on the face of the recipient. I keep a box of lovely ribbons, kitchen twine, food gift bags, cake boxes and nice jars on hand for packaging up edible gifts. I collect them throughout the year, including recycling nice items like ribbons that I’ve received on gifts or things I’ve ordered online. If you want to go one step further at Christmas time, buy some nice tins and pretty food-safe colour tissue paper to put your gifts into. 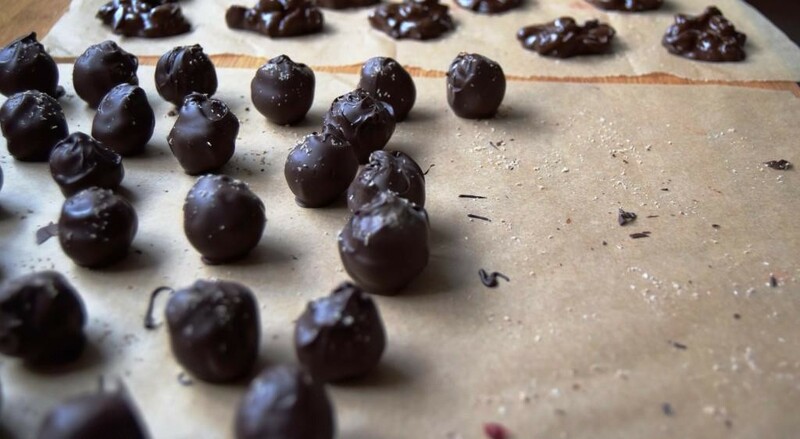 Chocolate truffles are a lot more straightforward to make than many people think. Here’s my recipe for basic chocolate truffles. For a Christmas twist, add 1 teaspoon of cinnamon to the ganache and grate some fresh nutmeg over the truffles before the chocolate sets. Another option is to add 50g of chopped crystallised ginger to the ganache centre. Very few people will be disappointed by a batch of freshly make Christmas cookies. Over the last few weeks I’ve made a fair few rye spiced cookies, swapping the speculaas mix for a couple of teaspoons of ground ginger, ½ teaspoon of cinnamon and some freshly grated nutmeg. For an extra touch, make a simple lemon glaze to coat the cooled cookies with. Whisk together the juice of half a medium-sized lemon with 100g of sifted golden icing sugar (add a little more lemon juice if the icing is a bit thick). Thinly coat the cookies with the icing or drizzle over the top. 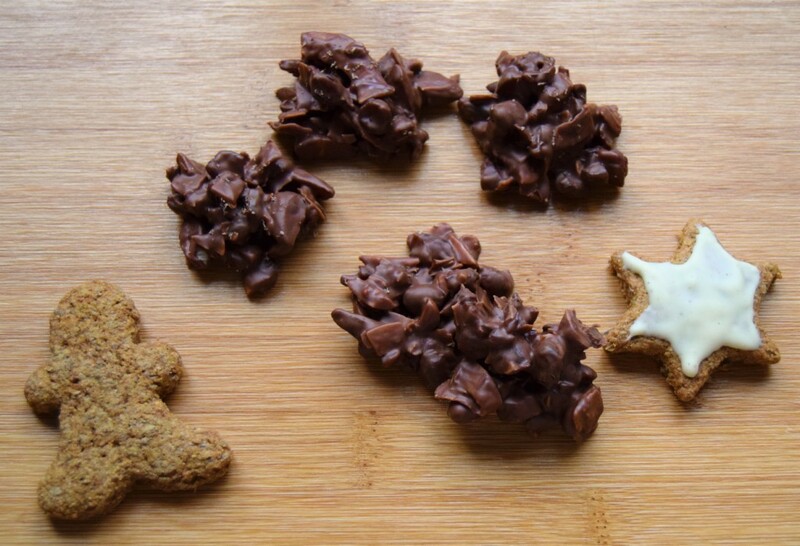 Alternatively, melt a little white or dark chocolate to decorate the cookies with. Caramelised nuts not only make a lovely gift, they are handy to have around the house for Christmas nibbles. I like a savoury sweet combination, but play around with some spices to see what you like the most. You can use any nuts, but for Christmas I suggest using almonds, walnuts or pecans (or a mix of these). First pre-heat your oven to 180°C / 160°C fan. 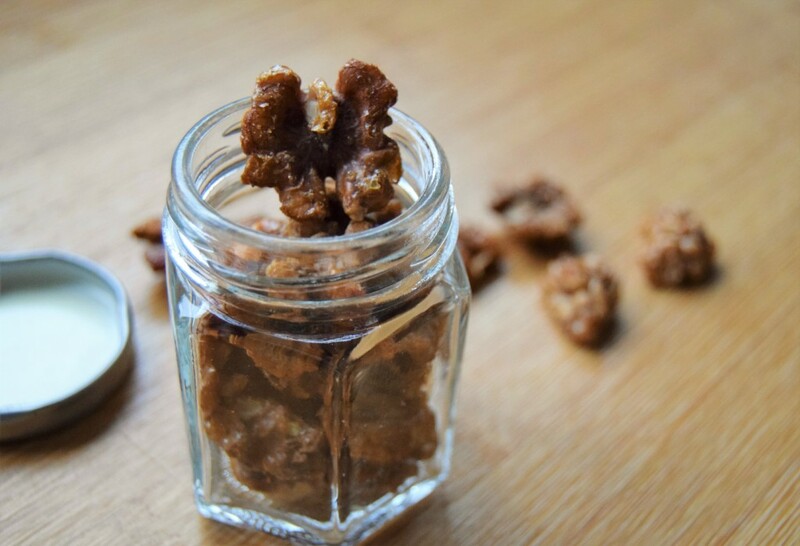 Mix 100g of nuts with 10g of coconut sugar, 40ml of maple syrup, ½ a teaspoon of dried oregano and a pinch of sea salt. Spread the nuts in a single layer on a tray lined with baking parchment. Put in the oven for 15 minutes until the nuts are lightly browned. Leave to cool completely on the tray before putting in jars or bags. This amount will make a few small jars or bags. Slowly melt 100g of the chocolate of your choice (temper the chocolate if you want to get a nice shiny finish). 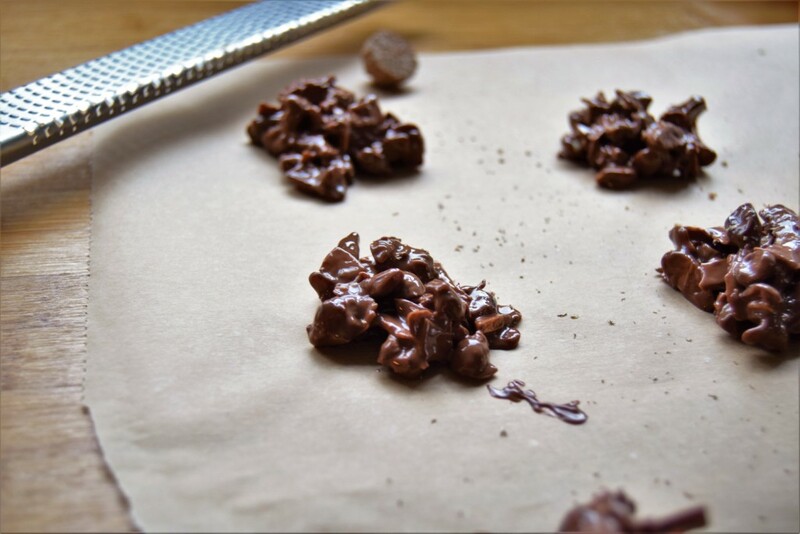 For each thin, gently drop a teaspoon of the chocolate on to baking parchment, spreading it out either with the back of a teaspoon or small palette knife so that it forms a thin disc. 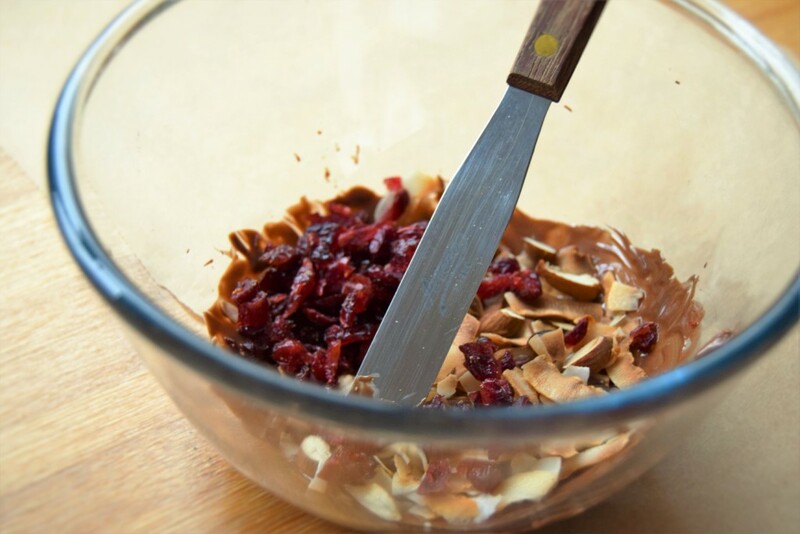 Have your toppings ready to sprinkle on the thins as you’ll need to do this before the chocolate sets. Some suggestions for Christmas toppings are chopped dried cranberries, toasted coconut flakes, a sprinkle of sea salt, chopped roasted almonds with a light dusting of nutmeg, finely sliced candied orange peel or a drizzle of another colour of chocolate. Alternatively mix the toppings in with melted chocolate and put heaped spoonfuls on to baking parchment to set at room temperature. 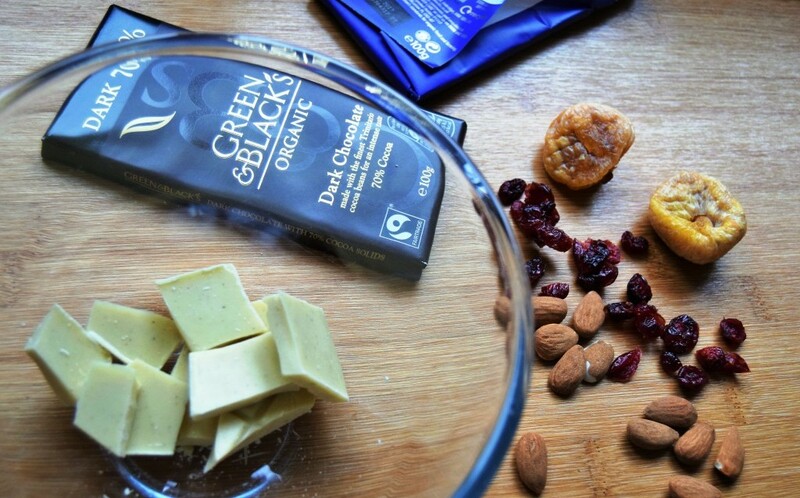 For 100g of chocolate, add 50g toasted nuts (you could also mix in some toasted coconut flakes) and 25g of chopped dried fruit. This will make about 15-20 clusters. 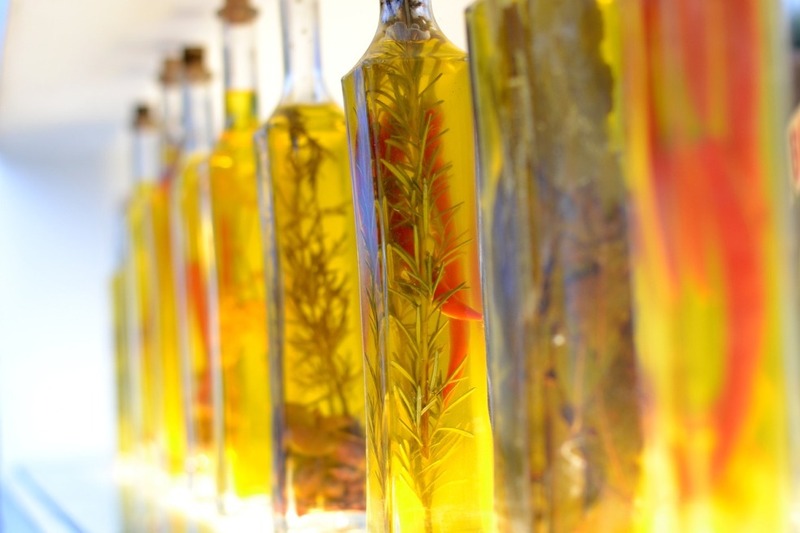 A stylish bottle of flavoured oil is a good addition to any keen cook’s kitchen. Flavours could include fresh rosemary, thyme, garlic, chillies or lemon peel. Fresh rather than dried ingredients are best, except for chillies where the dried version will also work well. Use good quality extra virgin olive oil as it will make a difference to the end product. Wash your flavour additions well and leave them to dry properly before adding to the oil (this is a very important step to ensure there’s no bacterial growth). Also make sure your bottles are sterilised and can be properly sealed. Put your choice of ingredient in the bottle and then cover with oil. Leave in a cool, dark place for 1-2 weeks before using. 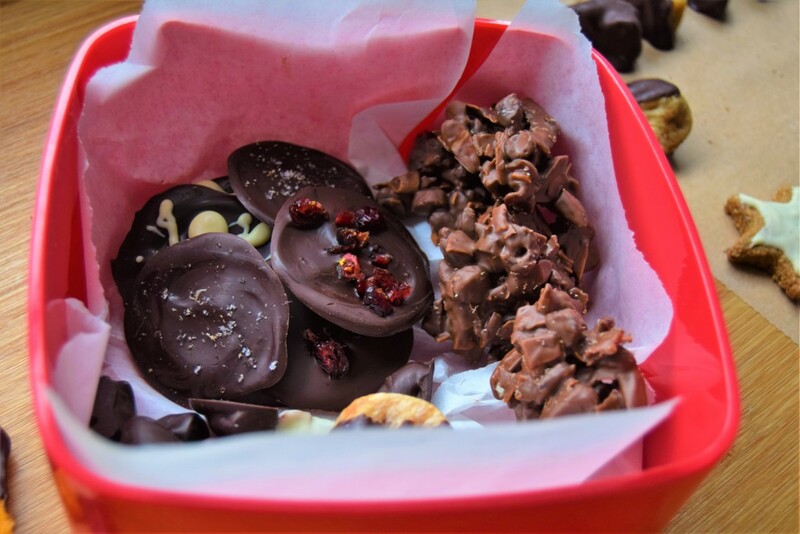 And remember, edible gifts aren’t just for Christmas. A thoughtful gift at any time of the year can really brighten up someone’s day!